Whether you’re new to digital scrapbooking or you’re an old pro, we all share one common challenge: TIME! We never have enough time to do all the scrapping we’d like to do, want to do, or need to do. I can’t give you more hours in the day, but I can offer some tips to help you save time and use your available crafting time in smart, efficient ways. I know these tips work because I use them myself all the time – and I’m happy to share them with you. 1. Organize your photos and supplies. 2. 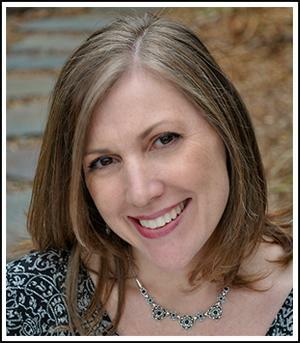 Use a layout template, a sketch, or even a JIFFY Easy Page. Layout templates are a favorite for fast layouts. Feel free to rotate or adjust them to fit your photos. You can even use a JIFFY page like a layout template by replacing the papers and embellishments with those from another collection. It’s fast and easy, and it will look like a completely different page! I’m kind of embarrassed to admit this, but sometimes when I have a tight deadline and need to get a layout done as quickly as possible, I’ll pull out the PSD file of a layout I love and change out the papers, photos, and embellishments. The layout on the left was created for a designer who didn’t stay active in our store for very long. When I saw the beautiful patterned papers for Jennifer Zeigler’s Summer Breeze Scrap Girls Club last summer, I knew the stacked paper technique from my “Carefree Cousins” layout would be an ideal way to showcase my “Meeting Minnie” photo and Jennifer’s wonderful collection. 5. Use Only One Collection or Designer for Your Page. Opening and looking through a lot of different folders takes more time than just looking in one or two. 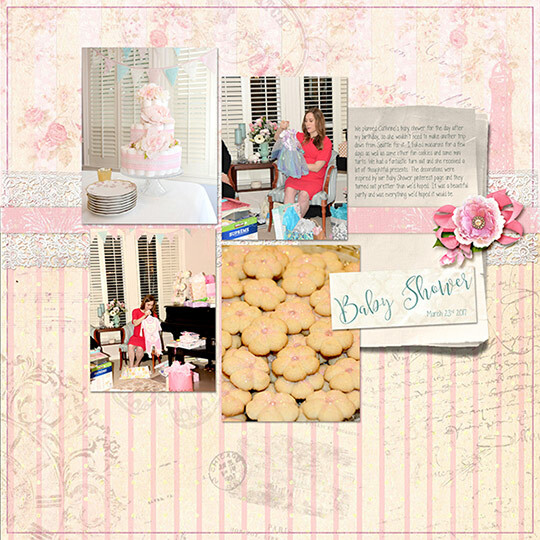 For the layout below, I chose two kits by D’s Designs and used them (along with layout templates) to scrap photos of my daughter’s baby shower. Here’s a little free advice: Remember that every page doesn’t have to be perfect! When I find myself spending too much time making tiny adjustments to a flower cluster or looking through hundreds of fonts for the “perfect” one, I know I need to save my page and move on. 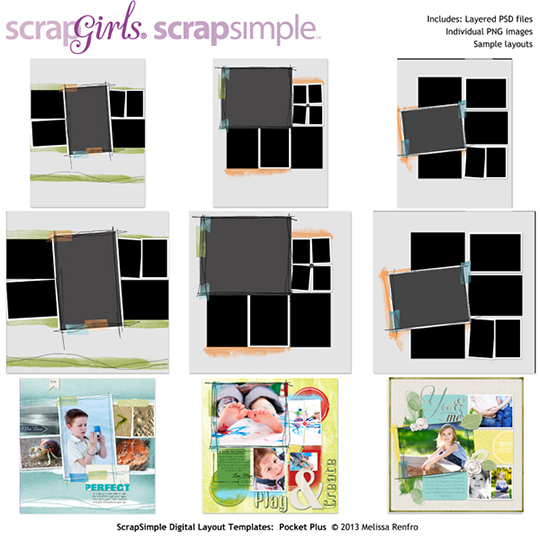 If you’re struggling to get pages done quickly, trying out all five of these tips at once might be a challenge, so just choose one or two and use them on your next scrapbook page. We hope we’ve given you some good ideas on how you can save time and speed up your scrapping. 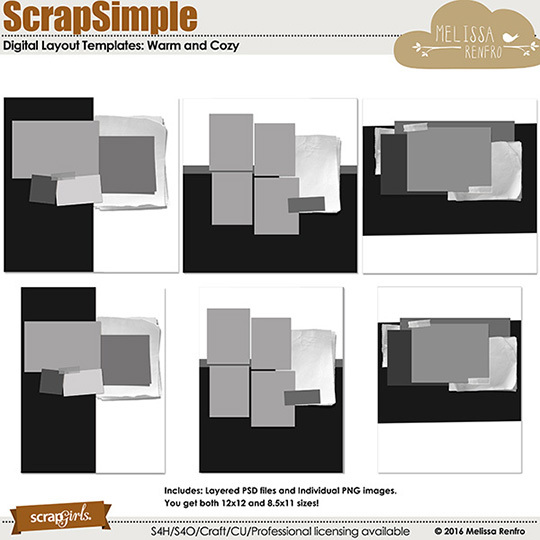 If you have a favorite way you like to save time when you’re scrapping please tell us about it in the comment. We’d love to learn your tips too! I love the tip about saving the page and moving on to another when you are obsessed with details! So glad you enjoyed the article, Gayle!